Published: Oct. 6, 2015 at 01:59 p.m. 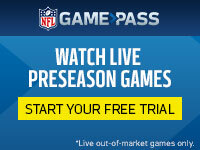 Updated: Oct. 6, 2015 at 04:11 p.m.
Ryan Mallett will start at quarterback for the Texans in Thursday night's divisional bout against Indianapolis, but Brian Hoyer is just a 42-0 deficit away from getting another chance to replace Mallett and reclaim the starting job he lost early this season. Twenty games into the Bill O'Brien era in Houston -- including an embarrassing, 48-21 thrashing at the hands of the Falcons this past Sunday -- the quarterback situation is no better than it was when O'Brien arrived in 2014 and Ryan Fitzpatrick was the triggerman. Neither is the team's identity. Their record says 1-3, but was that horrendous display in Atlanta an aberration or just the tip of the iceberg? "Hard Knocks," meet hard times. 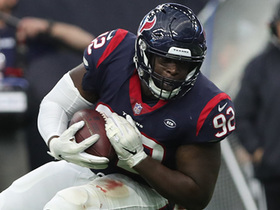 "I've got to do a better job of coaching," O'Brien said many, many times on Sunday, following a game in which his team fell behind by six touchdowns, prompting him to replace Mallett with Hoyer (who opened the season as the starter, only to get benched in Week 1). This team is rife with problems, many of which sprung to a head against the Falcons. The offensive line isn't right. The quarterback play has not been good, despite the fact that Houston currently ranks sixth in passing offense. That, of course, is a statistical mirage, with the yardage totals stemming from the high number of passes. Mallett and Hoyer have combined to throw a league-high 201 passes (with six touchdowns and four interceptions). That's 30 more attempts than the next-closest team, Miami (which has logged 171 attempts), and we know what just went down in South Beach. Oh, and by the way, Houston has completed a league-worst 52.7 of those passes. 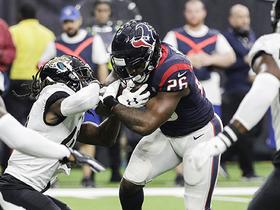 Maybe more troubling than that: The Texans have thrown that much because they just don't score in the first halves of games, falling behind to the point where they have to pass to make things competitive. Houston has yet to lead at halftime in 2015 -- yes, including in the team's lone victory, a 19-9 win over Tampa Bay. As poorly as that reflects on the offense, the defense -- the strength of this team -- has only been so-so, maybe a smidge better. Linebacker Brian Cushing and defensive end J.J. Watt have been strong, but as a unit, Houston has yet to fully come together. 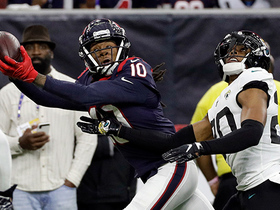 Houston, like a handful of other teams (Cleveland, Buffalo, St. Louis), tried to pattern itself after the Seahawks/Panthers -- relying on strong defense, an abundance of takeaways and adequate quarterback play -- but things have not gone as planned. However, other than the beatdown in A-Town, Houston has managed to keep things respectable in its other two losses, losing to Kansas City and Carolina by a touchdown apiece. But respectable in defeat is not what owner Bob McNair seeks after multiple seasons of losing and mediocrity. 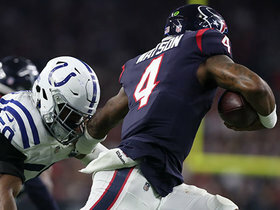 After all, the Texans boast the best defensive player in the game and other pieces that should produce better results than what we've seen in the first quarter of the 2015 season. Houston has only been to the playoffs twice since joining the league in 2002. The Colts have owned the AFC South during that timeframe. One reason why: Despite some productive seasons from Matt Schaub, the Texans have not been able to find a long-term answer at quarterback. Yet, in spite of these troubling symptoms, the Texans' season is hardly lost. There is time to find traction on both sides of the ball, especially if some key players -- like running back Arian Foster, former No. 1 overall pick Jadeveon Clowney and standout left tackle Duane Brown -- continue to progress after rehabbing from significant injuries. Furthermore, the AFC South is a mess right now. Houston is just a game behind the division-leading Colts (2-2), who seem to have as many problems as -- if not more problems than -- the Texans. Jacksonville plays hard, but it is Jacksonville. Tennessee is a wild card and might be the team that can throw a wrinkle into all of this. As a quick aside, the fact that the other quarterbacks in this division are youngsters Andrew Luck, Blake Bortles and Marcus Mariota -- while Houston possesses a pair of unproven vets in Mallett and Hoyer -- shows a different blueprint for possible sustained success from the Texans' main competition. And it'd be erroneous to say O'Brien hasn't had opportunities to infuse Houston's quarterback room with more enticing talent. No, you can't blame the Texans for spending the No. 1 overall pick on Clowney in the 2014 NFL Draft -- the pass rusher was viewed as one of the best overall prospects in recent memory. 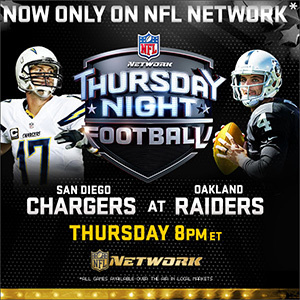 But Houston could've scooped up Derek Carr or Jimmy Garoppolo in the second round that year. This past offseason, Tyrod Taylor was available in free agency. Nobody knows if any of those guys would fare better than Mallett/Hoyer in Houston, but it's worth pondering. Still, a look around the league right now shows that a lot of teams are at or near where the Texans stand, and have just as many holes to plug. So if O'Brien can do a better job of coaching this team, a quarterback entrenches himself and other players step up, what happened in Atlanta could turn out to be a turning point. Or this could be yet another season of mediocrity in Houston.